Home550 AC near Hwy 195 & Ronald Reagan Blvd. 550 AC near Hwy 195 & Ronald Reagan Blvd. 550 acres of fully entitled land prime for development in northwest Georgetown. Ronald Reagan Boulevard. extends through the western part of this tract, connecting to Highway. 195. 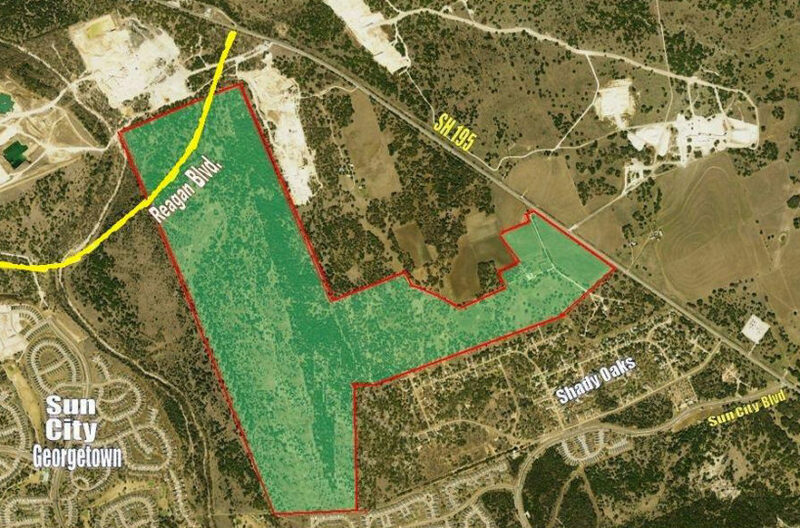 The property is adjacent to Sun City (7,500 homes) and Shady Oaks, two of the most successful communities in Georgetown. There is approximately 1,800’ of commercial frontage on Highway. 195 as well as 2,900’ of frontage on the east and west sides of Ronald Reagan Boulevard.